Upgrade Local Airstrips Â work was successfully completed in multiple towns. Cayo Welcome Center - groundbreaking was completed. Construction is ongoing. This center will be world class. San Pedro Sunset Boardwalk Â Bids were accepted for this Ambergris Caye tourism project. Placentia Municipal Pier Â and Belize City Fort Point Pedestrian Walk Âin the final stages of procurement. Belize City Final Master Plan Â was completed and given to government to review. Belize Tourism Board Â The BTB implemented a new Âon-lineÂ marketing program. The goal was to pick up the pace of tourism and incorporate social media. As a result, two USA based TV stations decided to film projects in Belize. These efforts will further promote tourism in Belize. You may already have heard the buzz about the 2012 ÂBachelorÂ episodes. Several segments were filmed around Belize last October. Ambergris Caye was included, of course. The Belize segments air in the USA in February sometime. So keep an eye out and be sure to watch. In 2011 the level of emphasis on culture increased. 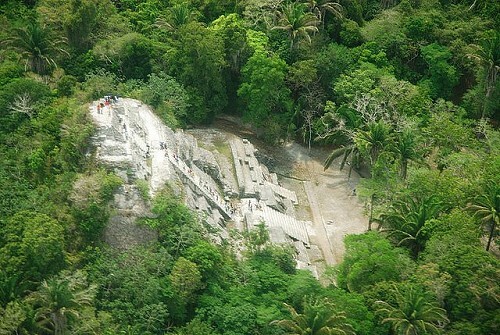 And in 2012 the BTB and other Belizean organizations will be highlighting the Mayan culture and history in Belize. Corozal received a ÂHouse of CultureÂ last year. Â In San Pedro, a House of Culture Coordinator was appointed in 2011. A San Pedro ÂHouse of CultureÂ will be established this year.